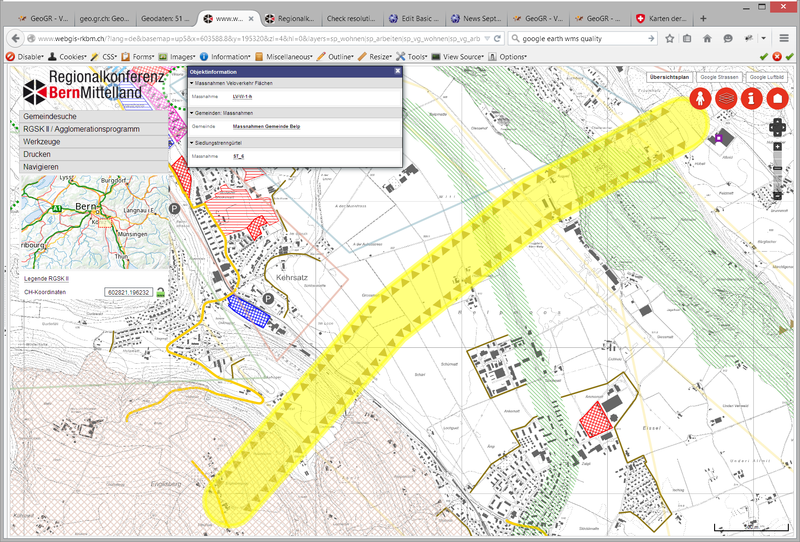 In implementing our WebGIS solution, we experienced TYDAC as a solution-oriented, reliable, creative, cost-and time-conscious partner. We thank TYDAC most sincerely for the very successful cooperation. The Regional Traffic and Settlement Concept is the strategic land use and transport planning instrument of the Regional Conference Bern-Mittelland. It describes the conditions to strengthen the region Bern-Mittelland as an attractive habitat and natural as well as a business location. The concept includes measures for an efficient and safe transport network, which is of central importance for the development of the region. The User Interface is quite unique and shows the flexibility of MAP+ in that respect. The cartographic requirements of the layer representations were demanding, but not an issue for UMN MapServer. Unfortunately, the new StoryMap functionality of MAP+ was not used. 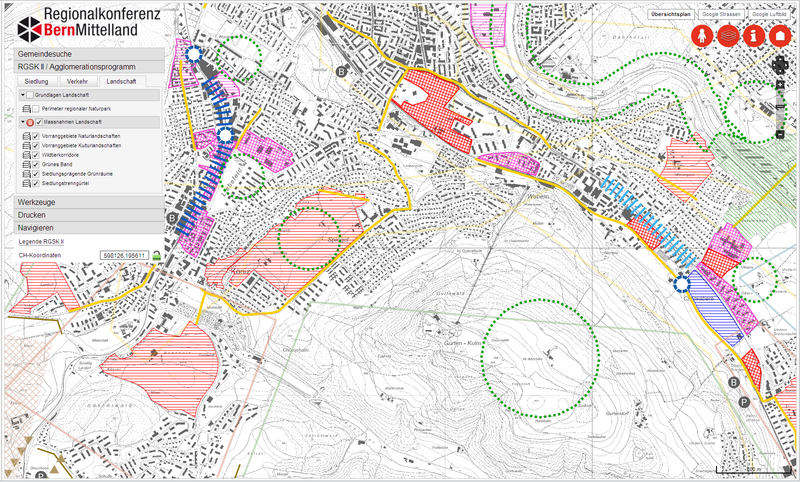 We would have wished this project would have been in the Grisons, as the availability of base maps would have been far better, thanks to the Open Data policy there.